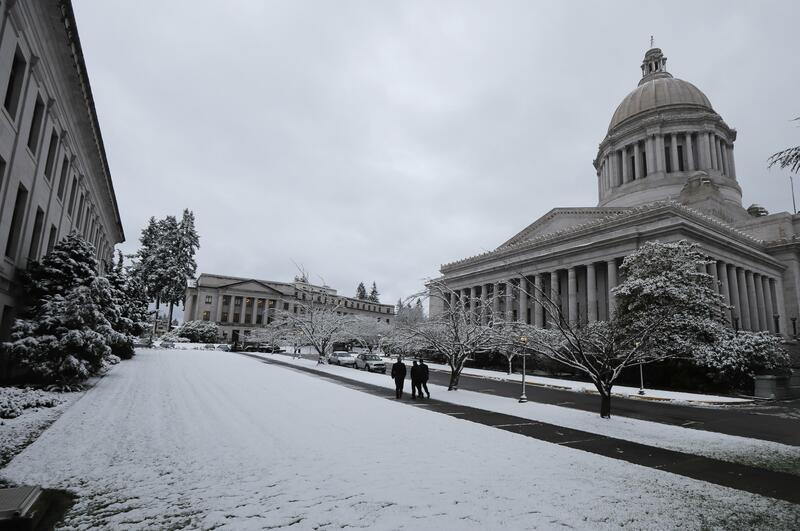 UPDATED: Wed., Feb. 6, 2019, 6:56 a.m.
OLYMPIA – Dogs and cats that have been used for laboratory testing at public universities and other research facilities would have to be offered for adoption before being euthanized under a bill that received strong support in a Senate hearing Tuesday. “These animals deserve a loving home … if they’re adoptable and well,” Jane Maxson, of Seattle, told the Senate Higher Education Committee while Zoe, a Labrador beagle mix from the University of Washington, sat on the lap of Chairman Guy Palumbo, D-Maltby. Under the bill, the UW, Washington State University, Fred Hutchinson Cancer Research Center and any other facility that conducts research on dogs or cats in collaboration with a public university would be required to offer their animals to a rescue organization before killing them. The two universities, which use hundreds of animals – not just dogs and cats – in medical and veterinary research every year support the bill. UW has “ a very robust animal research and care facility” with an adoption program for animals, said Ian Goodhew, of the university’s School of Medicine. WSU uses cats and dogs on a variety of programs to improve overall animal health, Chris Mulick, a spokesman for the university, said. The most common dogs for researchers to use are beagles, Maxson said, because of their small size and good temperament. Beagle lovers refer to the bill as the “Right to Release Law” and have pushed for similar legislation across the country to set up guidelines for laboratory dogs and cats to be adopted. Dan Paul of the Humane Society in Washington said he fully supports the bill for personal reasons. Diagnosed with a form of leukemia in 2004, he successfully underwent chemotherapy at UW. The bill, which had no opponents testifying, is expected to get a committee vote in the coming weeks. In a separate hearing, a bill that would have required pet stores to only sell dogs or cats that came from a shelter met opposition in the House Consumer Protection and Business Committee. Supporters said it is intended to keep stores from selling animals from large-scale breeding operations, or “puppy mills” imported from out of state. But opponents said it unfairly targets those who do not sell from out-of-state puppy mills, and forces consumers to purchase animals from unregulated sources. After hearing from pet store owners and local breeders, Committee Chairman Steve Kirby, D-Tacoma, said he believed the bill would not pass out of the committee. Reporter Ryan Blake contributed to this report. Published: Feb. 5, 2019, 7:56 p.m. Updated: Feb. 6, 2019, 6:56 a.m.